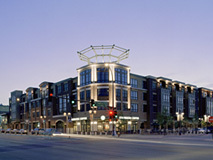 Excelsior & Grand is a 16-acre redevelopment project located in St. Louis Park, Minnesota. 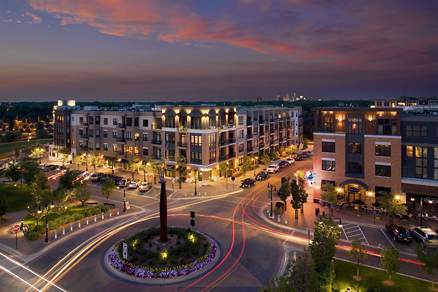 This multi-phased project features 644 housing units and 88,000 square feet of retail space. Total project cost of $170 million. 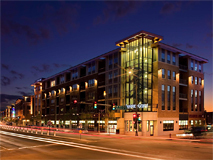 Phase I included 338 apartment units with 64,000 square feet of retail space. 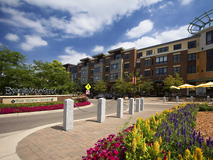 Phases II, III, and IV included 306 condominiums with an additional 24,000 square feet of first floor retail space, including the first Trader Joe’s grocery store in Minnesota. TOLD Development Company was selected by the City of St. Louis Park in July 2000 after the initial developer withdrew from the project. When TOLD Development Company assumed the development rights to the project, the plan proposed by the previous developer was determined not to be financially feasible. TOLD quickly assembled a team and addressed the complexities of the project and its financial viability. The resulting revisions balanced the benefits of vertical mixed-use with the financing challenges involved with such projects. TOLD Development Company developed all components of the project: apartments, condominiums, and retail.